Shepherd’s Call has been working with a group of parents of disabled children in Central Asia. We helped the parents write a letter to the mayor of their town asking for use of a building where they can work with their children and help them adapt into the community. The mayor did not reply. They also sent the letter to the Social Protection Department. Then they sent a letter to the town commissioner. Finally, the parents were invited to a meeting of community officials and asked about what they want. The parents explained that they want to have a building where they could help introduce their children into the life of their community and to work together as parents and help each other. 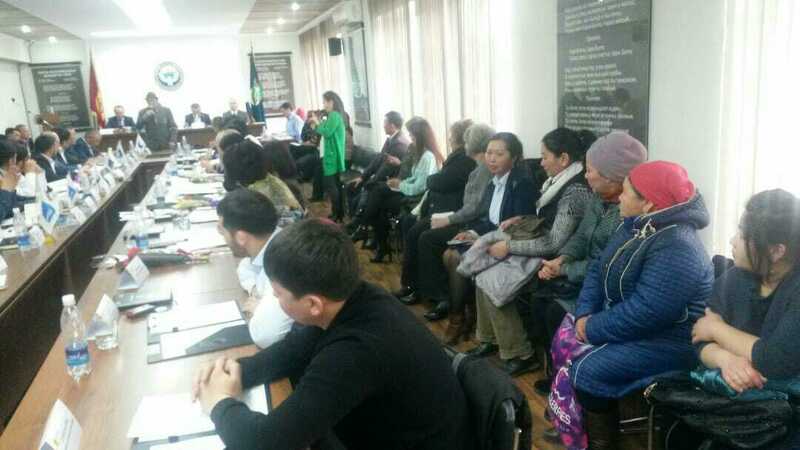 After one week’s time, the deputies decided to give a building of eight rooms to the parents’ group with the understanding that the parents will work jointly with the Social Protection Department. There was an election of Mayor and these parents were invited to participate and tell about their vision. Praise God that deputies and different political parties took responsibility to repair the building as it is old and needs many repairs. Shepherd’s Call has been working with these parents to get the center, and served as a bridge between parents and the social department. Parents now have a clear understanding of what they need for their children. They also have a lawyer who wants to help them as a volunteer to register as an NGO, because they need to be an organization to get this building. They already have a name “Nurluu baldar” which means special children, bright children, and are working on a logo. They gave the application on Monday, 12th of March. For this group of parents so they can get the documents approved as an NGO. For the building, for the repairs and opening the center. For the community that they could accept them. We appreciate your prayer and financial support. We are one body in Jesus Christ. May the Lord bless you.